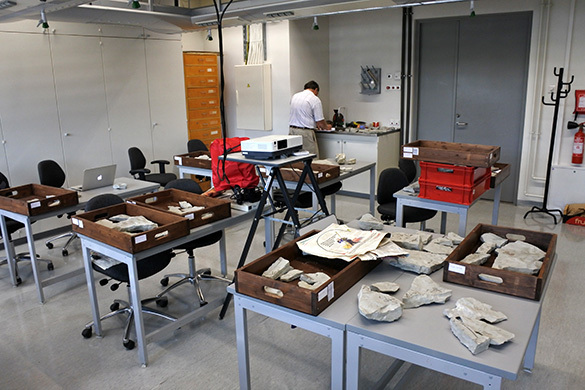 Tartu, Estonia — Today Bill Ausich and I returned to the geology lab on the university campus to continue our work on the Kalana Lagerstätte crinoids. 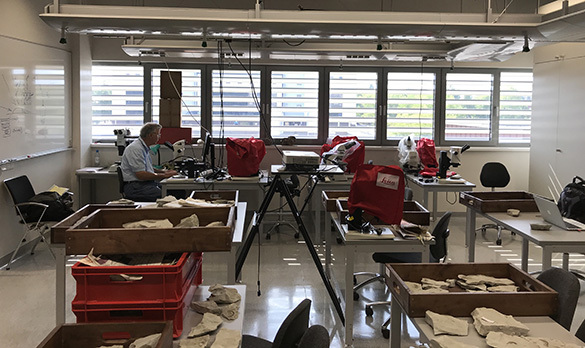 There is Bill above working on specimens. I spent most of the day working with this beautiful Leica photomicroscope (model S9i). It is the most intuitive photomicroscope I have ever seen. The images are superb. I want. Here I am at the microphotography station, looking wistfully outside. 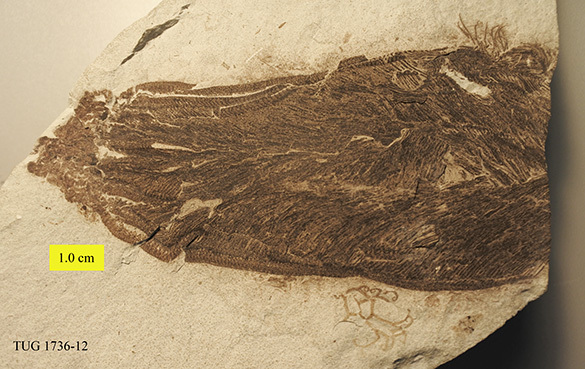 We don’t have anything new to report today, so here’s an image of one of the best Kalana crinoids. This is my favorite specimen because it is squashed in a way that separated the calyx plates to make them easier to see. 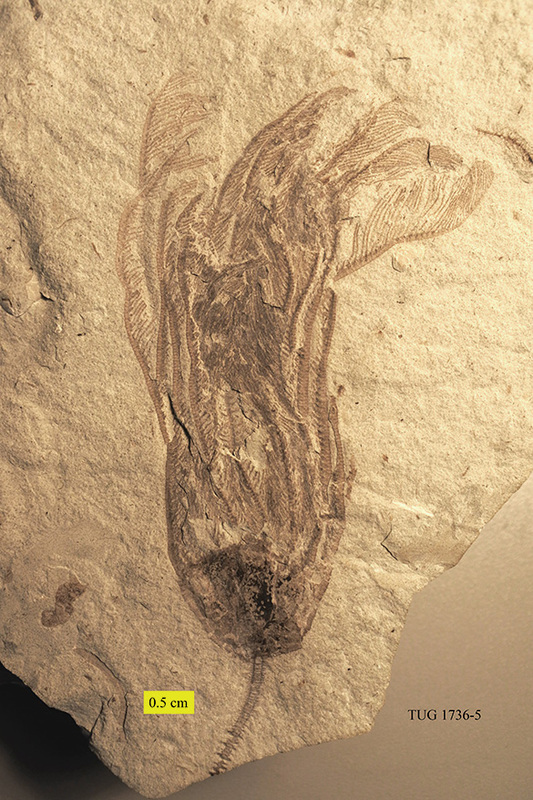 The calyx is on the left side of this specimen. The pinnules from the arms are preserved so well here they look like hair. Note the small angular fossil just below the crinoid on the right. 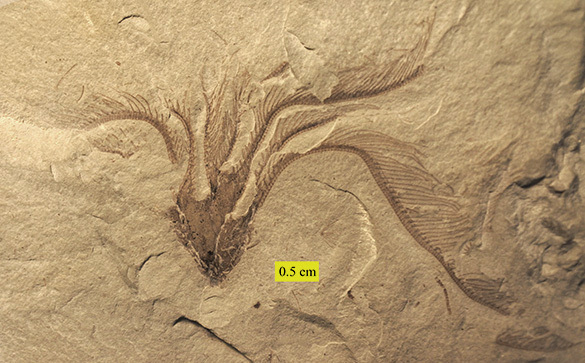 These are common in the Lagerstätte, often appearing to be attached to crinoids. We think they may be green algae, possibly like the modern Hydrodictyon but marine — and with larger cells. Another mystery in this fossil assemblage. We’ve now completed a week in Tartu. 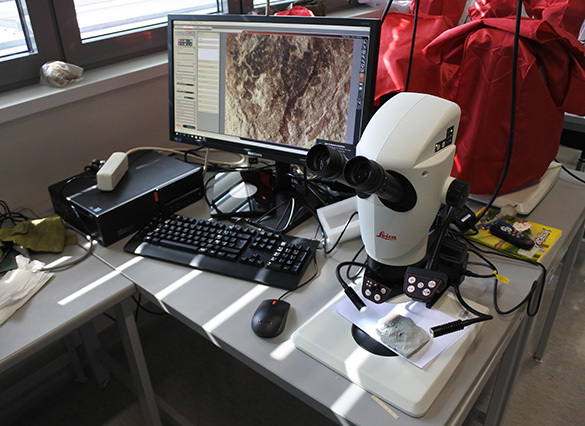 The Kalana crinoid project has gone especially well. Thank you to graduate student Viirika Mastik who collected most of the Kalana crinoids, and to her supervisor Oive Tinn. They have helped us immensely in the lab.